My garden is doing pretty well this year! I have tons of cherry tomatoes, and a decent crop of peppers and a few eggplant and cucumbers. 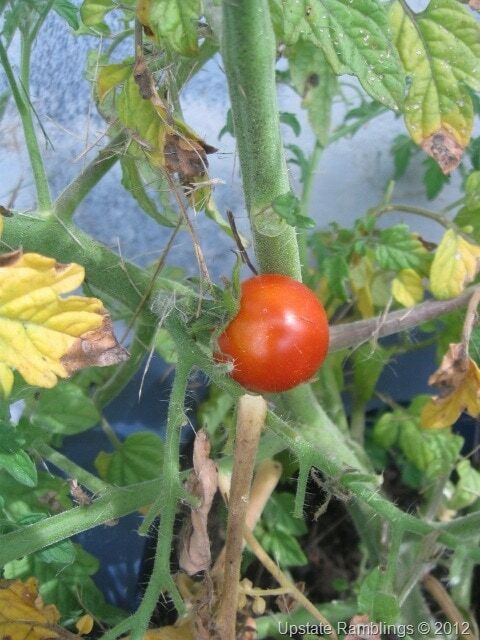 Tomatoes are our favorite, so as long as those are going well we are pleased! 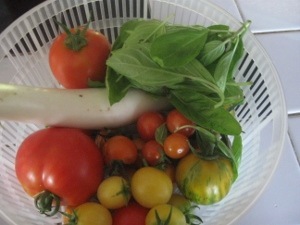 I am finally harvesting tomatoes from the garden!Â I have four different kinds of tomatoes planted, mostly cherry tomatoes.Â It is nice to be getting a variety of sizes and colors.Â I also got my first white eggplant yesterday, and the basil is still growing like crazy, which is perfect for tomato and eggplant recipes. Look–A Weeded and Mulched Flowerbed!